Having a food journey through Cambodia or Southeast Asia? Then Cambodian soups are the new flavors to add to your palate. Soups, or “Samlor” in Khmer, are almost always on the locals’ table for lunch and dinner. So, join in on the habit and know exactly what to order with 9 of the most delicious Cambodian soups below! One of the most beloved Cambodian soups, Samlor Korko is rich in both flavors and nutrition. Roasted rice gives the soup its savory aroma and thick texture, and a splash of fermented fish Prahok gives a satisfying salty kick. A well-balanced dish on its own, Samlor Kako is definitely a can’t-miss once you’re in Cambodia. This might just be among the Cambodian soups you’ll miss once you’re back home. Chopped water spinach and beef are flavored with “kroeung”, the encompassing term for pastes of spices and herbs often used in dishes. Particularly for Samlor Machu Kroeung, turmeric is abundant and colors the kroeung yellow. Other ingredients used in the kroeung are lemongrass, galangal, shallot and garlic. They are mashed into a paste with the traditional wooden mortar and pestle. The end result is a fragrant paste that will draw you to the dish. Tamarind makes up the “Machu” part of the name, which means sour. Locals love to pair this soup with fish sauce mixed with chili to balance the sourness. So, don’t forget to try it out with your next order! The staple of Cambodian households in the countryside, Samlor Machu Srae is definitely one of the major Cambodian soups you can’t leave the country without trying. The main ingredients of the dish are water spinach, fish (often small) and krill. Sometimes, small crab and snail are also included. Like Samlor Machu Kroeung, tamarind is added for the sourness. Again, locals complete the dish with fish sauce topped with chili. In fact, if it’s a sour soup or has “Machu” in the name, you can bet it’s the default add-on for the dish! For the best and most authentic taste, order this dish when you are in the provinces, such as Battambang and Siem Reap. Pair it with grilled fish or chicken and you’ve got a mouth-watering feast in front of you! If you’re craving something sour and sweet, then Samlor Machu Youn is the dish for you. 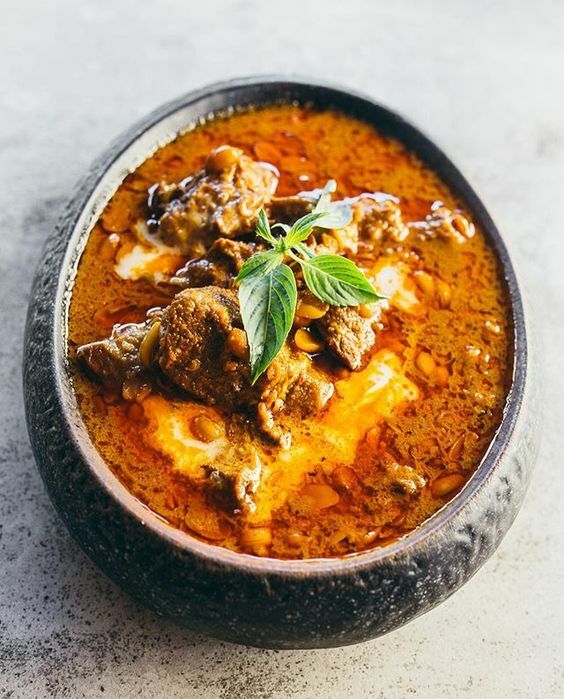 Although the “Youn” in its name is the Cambodian slang term for “Vietnamese”, the dish secures its place among Cambodian soups due to its popularity in the country. The dish consists of thinly-chopped lotus roots and slices of pineapples, winter melons and tomatoes. The main protein is fish, often the snakehead murrel (or “Trey Ros” in Khmer, the language of Cambodia). Also peppered with herbs, it’s a super tasty soup that will make you come back for more. Get ready to keep slurping this delicious soup! The simplest of the Cambodian soups, it’s a refreshing concoction of lime and herbs, often topped with chili for a nice spicy zing. As you can tell from the name, fish is the main star of the dish, though you can also replace it with chicken. And can you guess what goes with the meat in this sour soup? That’s right! Fish sauce with chili! Simple but super tasty. If you happen to be down with a cold while staying in Cambodia, this is especially the soup to pick you back up and clear your nostrils! Adding to just how healthy Cambodia soups can be is the aromatic Samlor Proher. The dish primarily consists of vegetables, including ivy gourd leaves, sweet leaf, pumpkin and winter melon. It’s pretty much a vegetarian dish ready to go! If you’d like some meat though, then it’s fish you’ll be expecting. There is also a variation of this dish that is made specifically to eat with the soft rice noodles, Nom Banhjok. The soup, also called “Samlor Khmer,” is thicker and light green, often seasoned with Prahok. It’s absolutely delicious, so make sure not to miss it during your travels! Here’s a fun fact for you to share with friends: “Khor” is both a stew and a Khmer alphabet. For this dish, pork is braised with caramelized palm sugar along with eggs and tofu. (You can also switch out pork for fish too if you prefer.) For some heat and balance to the sweetness, peppers are also added. ​Sometimes, there are also thin slices of unripe mango for a dash of sour. To order the dish, you need to say “Khor” along with the meat. So, if it is pork, you say “Khor Sach Jruk (ខសាច់ជ្រូក)” and if it is fish, you say “Khor Trey (ខត្រី)”. There is also “Khor Ko (ខគោ)” which is a slightly different beef stew for eating with the rice noodles Kuy Teav. “Kari” is the Khmer word for curry. And if you’ve been to Thailand, the look of Samlor Kari might remind you of the Thai red curry. However, the taste is somewhat different. Samlar Kari is often not spicy, and it also comes with the “kroeung” base, including turmeric and galangal. You’ll taste the familiar coconut milk though, and get the same meat in Thai red curry such as pork, beef or duck. However, unlike its Thai counterpart, Samlar Kari normally doesn’t include seafood. The way to eat Samlar Kari is with Nom Banhjok. Also, you can eat it as a dipping sauce for bread. As you can probably tell by now, Cambodians love sour, and here’s another soup to prove it. “Ngam Nguv” is pickled lime which gives the soup its sour and slightly bitter flavor. Mostly, chicken is in the soup, though duck is also an alternative. The taste might be unlike anything you’ve had before, so give this a try while you’re exploring Cambodia! And I think you know just the sauce to eat the chicken with! So, that completes our mouth-watering list of Cambodian soups! Which ones are you excited to try? Which have you already tried and what did you think? Let us know down in the comments! 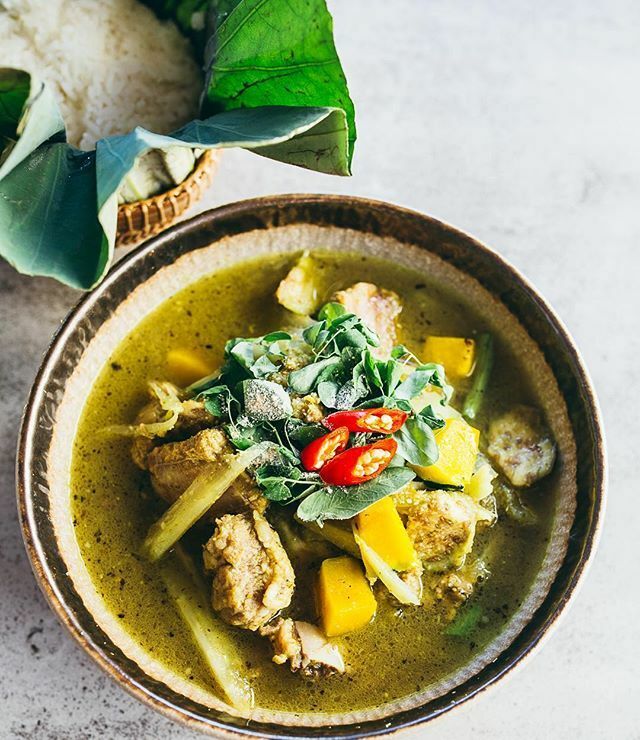 If you’re also interested to learn how to make these delicious Cambodian soups, one of the places you can do so is at Feel Good Cooking School. After all, you don’t just eat delicious things once!